I had a good friend in an one of my very first bands (The Roadbowlers! ), and when I would bring in original songs for the three of us to play, she would always be so appreciative and receptive, even if the song sucked and fell apart (more often, than not, it turns out). Susanna was just learning to play guitar but her philosophy around music making was informed by an artist she listened to a lot and admired as an artist making her way mostly independent of the record industry, Michelle Shocked (although a controversy over some of Shocked comments that were deemed homophobic would no doubt upset my friend terribly). The line resonated for her, and later for me, because it reminds the musician that you don’t need a recording contract to make music. You don’t need a manager. It’s not about the money or the fame. What you need is something that you can play on, something to sing about, maybe a porch to sit on, and then, you make your sounds wherever you are. You make your own jam because that’s the best jam there is. I was thinking of Susanna and her musical mantra the other day as I was reading a reply to a comment I wrote at Howard Rheingold’s post, asking us to check in as part of the Connected Courses. I had written in my comment to him that things were going relatively smooth, even from my angle of a K-12 teacher in the midst of University folks, but expressed the wish that more of the facilitators would be more involved in social media interactions. This was not a criticism, knowing how busy folks are. It was more of an observation, and worry that the online component was seeming to replicate the classroom experience of the knowledgeable one imparting lessons (via video) as the students (us) listened. Howard’s response was logical: he is encouraging facilitators, who may or may not be used to social media on this scale, to dive in, and he noted, rightly, that this is the start of the fall semester for many of them, and we all know how swamped we get when things get rolling. In true Connected Learning fashion, we make the connections that matter to us and we build our networks and communities that are meaningful to who we are and where we are going. We sustain us. His small sentence reminded me again that waiting around for validation by the “teacher in the room” goes against the very grain of Connected Learning. 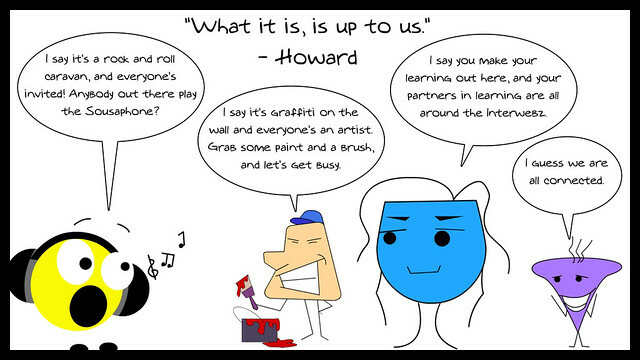 Thank you, Howard, for reminding me of where the learning starts. If you want the best jam, you need to make your own. During holidays at the end of 2012 my net smart nephew recommended I read Howard’s book “Net Smart”. I have been MOOCing and learning from him ever since. Thank you Howard. Your post reminds me of how those familiar roles in teaching and learning surface in all kinds of platforms and contexts, how a digitally quiet “teacher” can feel to participants like an expert assigning work. 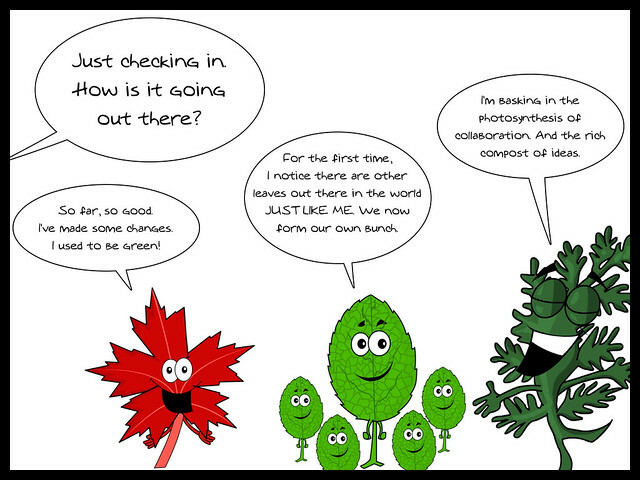 In #clmooc we facilitators also discussed quiet vs noisy facilitation, a conversation with a great deal of importance and just as much ambiguity. Were facilitators too active? Does the type of facilitator activity matter? What is the compact between facilitator and participant in terms of feedback or interactivity? Jam is a great metaphor. It’s entire meaning changes when you go from buying it off the shelf in a store, to picking your own fruit maybe off a tree in your yard, mixing pectin, waiting to see if it jells, and then giving to a friend.